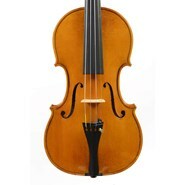 The town of Markneukirchen in Saxony has been famous for violin making since the mid 1600s when the first violin making guild was formed. 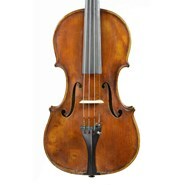 By the late 1800s more than a quarter of a million string instruments a year were being shipped all over the world with almost half the production coming to the U.S. After WWI, production in Markneukirchen dropped significantly but the companies that remained started to concentrate on the making of higher quality instruments. 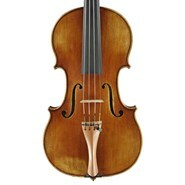 At the beginning of the 1920s. 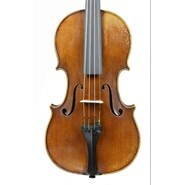 Ernst Heinrich Roth I (1877-1948) took over the operation of the Roth family firm and began to produce violins of exceptional quality. 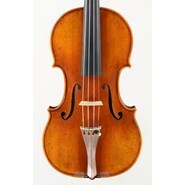 These fine violins were so popular in America that Ernst Heinrich sent his son Ernst Heinrich II (1890-1961) to this country to represent the firm. 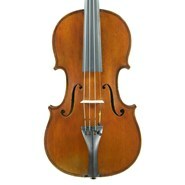 By the 1930’s, production decreased due to the rise of Nazism and the war. 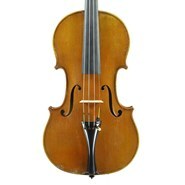 In spite of that, we still see fine Roth violins from the 30’s and even the late 40’s. Under Communist rule, the firm was taken over by the government and their building confiscated. 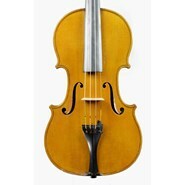 In 1953, the business was re-established in Bubenreuth, West Germany and they began production of high quality violins, violas, cellos and bows. 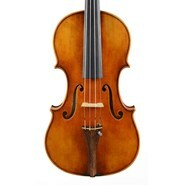 Today, Ernst Heinrich Roth violins from the 1920’s are in great demand because of their exceptional quality and are increasing in value. Although originally the 1920s Roth violins were made in 13 different quality grades (reproductions of works of famous Cremonese violins by Stradivari, Guarneri and Amati), there is actually little difference in the different models in terms of quality. Some of these violins are labeled Eugen Meinel and are similar to the Roth violins and have comparable value. 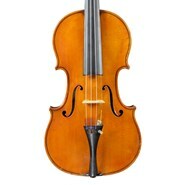 We have always searched for Roth violins from the 1920s and usually will have several examples available.